An absolute crowd-pleaser for the whole family. Pixar has done it again with a four-quadrant winner that resonated across generations and culture. It may not be as (pseudo)-intellectual as Inside Out but it definitely pack a great emotional punch especially in its third act, with a strong story line on the evergreen theme of family vs self and obligation vs passions that never turned schmaltzy. Great voice work all around in particular Anthony Gonzalez and Gael Garcia Bernal, with great music and score from Kristen Anderson-Lopez and Robert Lopez, the duo that gave us the hits from Frozen, and Michael Giacchino who is back - at last - with a mariachi-tinged score that delivered on the emotional journey. 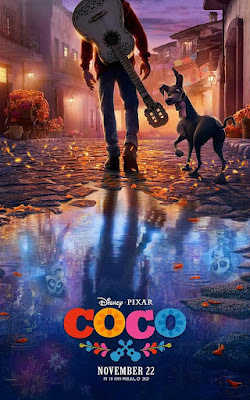 Directed by Lee Unkrich, who also gave us the last real Pixar tearjerker, Toy Story 3, Coco continued Pixar's animation technological supremacy. The film was gorgeous to behold and tiny nuances like the translucency of the skin, the glow of candle light and the luminosity of the alebrijes, especially Pepita's - oh Pepita! - are mesmerising. The animation is fluid and never distracting. The main story itself was simple, and Unkrich told it efficiently but yet without ever holding back anything. At a brisk 109 minutes, the only letdown was the slightly draggy second act as well as the predictability (for an adult perhaps?) of the finale. However, the emotional sincerity of our lead character Miguel held steady throughout and helped to sell the story, predictability and all which led to very, very strong third act and finale that will surely tug at the heartstrings of even the meanest scrooge. And for most, tears will be inevitable. But the tears were well-earned. 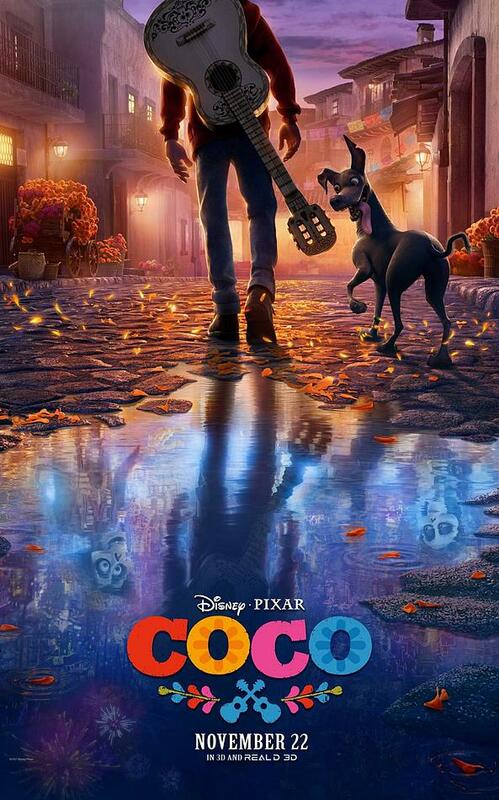 Coco proved that Pixar (and to a smaller extent, Disney) can still create wondrous, original content instead of just money-making, merchandising-selling sequels. In addition, well-thought out characters that have rich, emotional depth will always connect with the audience. Key to the success also laid in the music and the Lopez have definitely nailed it with the potential Best Song nominee Remember Me. Giacchino has also found his groove back with a great score, echoing the success he had back in his last collaboration with Pixar for Inside Out. Hope he can continue this collaborative streak in The Incredible 2. Coco is definitely the animation to beat this year for the Best Animation Oscar. And I daresay it should even have a shot, albeit a very long one, in this year's wide-open Best Picture race if for nothing else but its optimistic outlook and attitude on love and acceptance - elements sorely lacking in the world these days.